Sep 05, 2016 Hi there - We stand behind our statement that you did not have Leaffilter on your gutters. There are thouands of gutter guard products on the market. LeafFilter is the most durable. 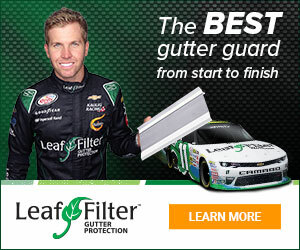 We seal each system with 50 year tri-polymer sealant, so there is no way that LeafFilter could have blown off your gutters. I bought a house that had leaffilter guards installed. The mesh screen had blown off at some point. Because of this the gutter needed to be replaced. I contacted leaffilter to have the screen replaced, the system inspected after the gutter company re-installed, and some small sections added where the gutters were extended beyond the original length. I was told repeatedly that I did not have leaffilter brand guards on my system and made to submit photos to prove that it was a leaffilter guard. The guards had the leaffilter name and patent number marked on them, which I explained to the person on the phone several times. Basically your representatives insinuated that I could not read. I moved past this as I simply wanted some minor work and a screen replaced on my system. I have left over 2 messages a week with the representative for 2 months with no call backs. I am removing the system from my house and will never consider this company again. Review #711186 is a subjective opinion of User711186.